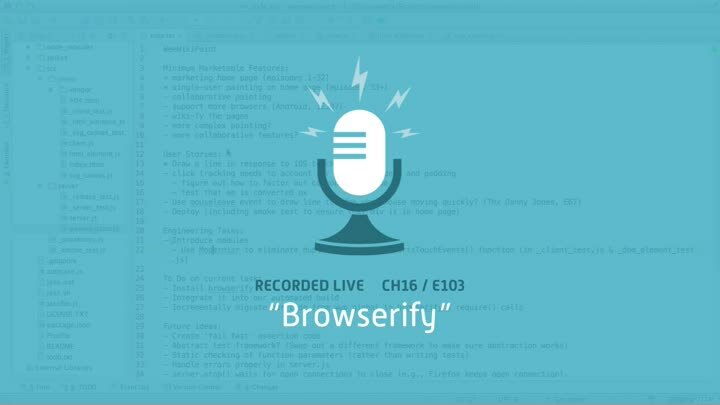 We’ve chosen Browserify as our modularization tool. In this episode, we start integrating it into our automated build. Our automation still needs a lot of work, but by the end of episode, we’ve successfully hacked together a Browserified version of our front-end code.